Having an asset register and being able to manage assets is a valuable resource to any education establishment. Initially adding assets on to any audit solution is a time intensive task. Due to the number assets owned by schools and normally higher value assets such as tablets, PC’s and laptops it can take several hours if not days to accurately record the asset details. InVentry can help with this process by sending in an Audit Team to add on the assets you require. Depending on the size of school will depend on how long the audit will take. All assets recorded using our asset management software with each given its own custom label for easy identification. The number of assets we add to your register is determined by the size of your school and we guarantee that number. 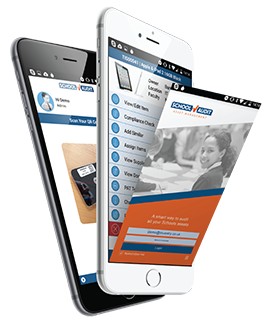 After completing the audit, our team will provide full onsite training on the apps and web portal. For each asset the make, model, location, serial number, quantity and photo of the asset are recorded. All of our professional team are DBS checked and can carry out the working during the holidays or term time. A dedicated helpline is available 08:30-17:30 Monday to Friday if you need any further support or assistance.